About a 10 minute walk to the outstanding work of nature that is Niagara Falls, you’ll find the DoubleTree Fallsview Resort & Spa by Hilton. 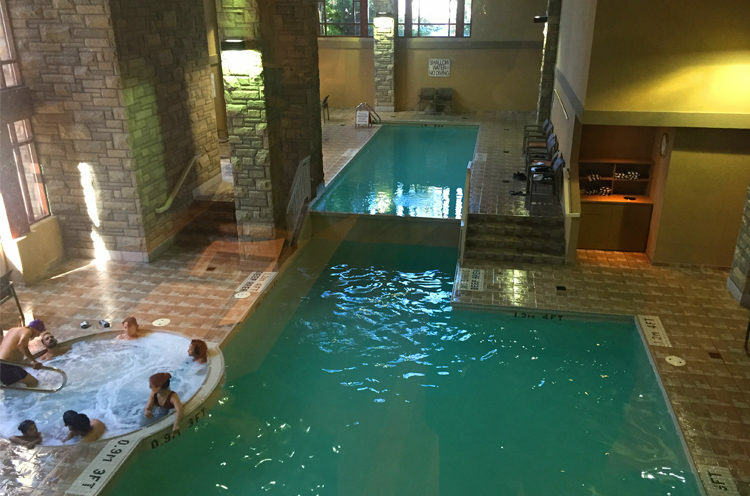 Our Fitness Traveling Mom recently visited and stayed for two nights with her family of four at the hotel. Situated away from the busy tourist streets, this Niagara Falls hotel provides a quiet place to relax. It has an upscale design, excellent dining options and spacious rooms making it a great choice for families. Looking for a Niagara Falls Hotel in Canada? Check out the DoubleTree Fallsview Resort and Spa by Hilton. This was my first visit to the Canadian side of Niagara Falls. Having a hotel that is in walking distance to everything, yet set away from the busy tourist streets, is important to me. I like to make sure my family has some quiet time during our vacations. 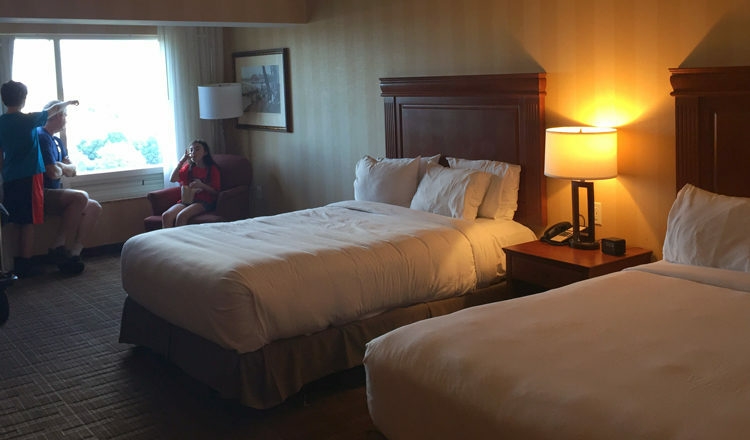 The DoubleTree Fallsview Resort & Spa by Hilton was a great option for us. The high-rise Niagara Falls hotel features 224 spacious guest rooms and suites. 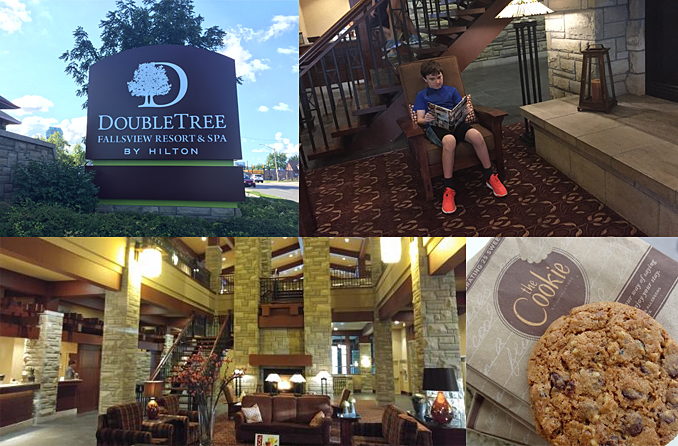 We were graciously greeted at check-in with the DoubleTree’s signature cookie and provided details about our room and hotel amenities. The hotel lobby has a craftsman lodge design with a huge stone fireplace at its centerpiece. Other stone accents and craftsman furniture give a cozy feel even though it is quite big. Walkable to nearly all local attractions and activities. 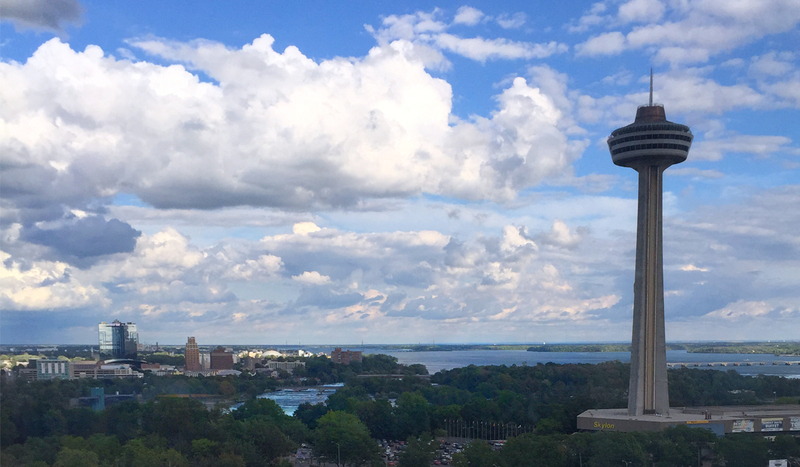 Most guest rooms and suites offer panoramic views of the Upper Niagara River or American Falls. On the WEGO bus line for easy access around the area. Great for rainy days or tired feet. Very spacious rooms. Perfect if families requiring a cot or crib. 1 bedroom suites should you need more room. Excellent noise reduction windows. We watched the fireworks from our hotel window, but could barely hear them. Parking is not free. It is $15 Canadian per day. Breakfast is not included, but it is reasonably priced. Pool is a bit small so it gets crowded quickly. Seating at the pool is rather limited as well. A section marked “adults only” makes the kid friendly portion even smaller. Only two elevators make for some wait times especially during busy check in and check out times. We stayed at this Niagara Falls hotel toward the end of August, which was still quite bustling with tourists. That said, our check in was smooth with no wait and our room was ready. We were quite impressed by the size of our room and the lovely views of the area. The beds were very comfortable and since my teens don’t want to share a bed, there was ample space for my son to use our air bed. Our room was well appointed with a mini fridge, flat screen TV, desk and separate seating chair. The style is traditional with some historic photos of the area. 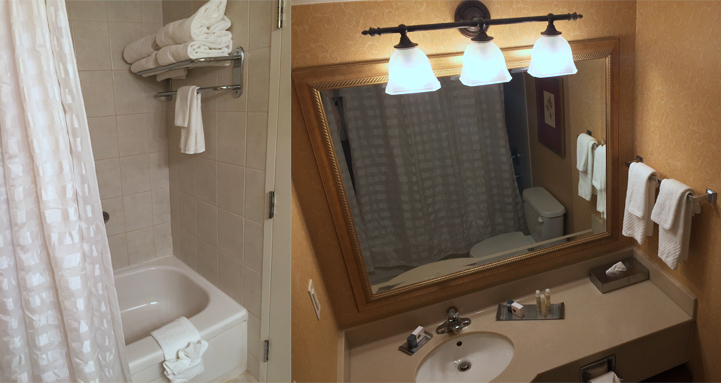 The bathroom was on the small side considering how spacious the room was, but it certainly adequate and clean. Our room was near the elevator so I was worried about hallway noise, but our room remained quiet throughout our stay. The beds were very comfortable with more than enough fluffy pillows to choose from. The lobby has plenty of comfortable seating. The adjoining Moose & Squirrel Coffee Bar is open until 10 on weekdays and 11 on weekends, which is great for a late night snack or night cap before bed. Buchanans Steak & Seafood is the main on-site restaurant offering breakfast, lunch, and dinner. Our days were so busy that we only had a chance to try the breakfast. The menus for lunch and dinner have wide a variety of choices and a kid’s menu too. 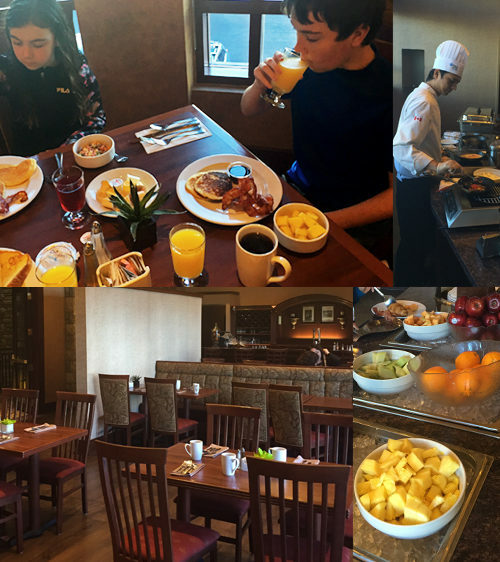 While this Niagara Falls hotel does not offer complimentary breakfast, it is very reasonably priced at about $12 per person. There are hot breakfast choices like omelets to order, french toast, pancakes, bacon, and sausage. There is also a bounty of muffins, fresh fruit, cereals. and yogurt. We thought we’d save money the next morning at the local IHop, but it turned out to be more expensive for much less food. 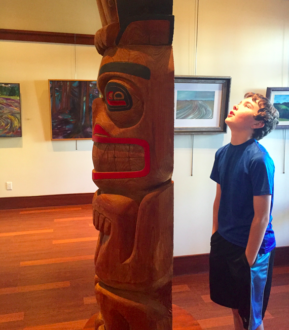 Impressed by a totem poll in the hotel art gallery. The hotel also features a lovely AVEDA Spa. I really wish I had time to take in a service or two. Services include massages, facials, manicures and more. For an extra bit of culture, pop into the art gallery next to the elevators. It was a pleasant surprise for me and my art-loving son. There is also a gift shop featuring gifts, snacks, and helpful items that travelers sometimes forget like pain relievers and toiletries. A few extra perks of the hotel include a 24-hour business center and on-site UPS Store. I tried to use the service center to print some tickets, but the printer was not working. A tech came to take a look, but said the connection service was down. He offered to print a document through the front desk. I appreciated his quick responsiveness and ability to come up with an alternate solution to my issue. TMOM Tip: A fantastic fireworks display happens Wednesday, Friday and Sunday nights between May-October. Most hotel rooms offer great views of the show without any crowds. Summer evening shows are near 10 pm so having easy access to put the kids to bed is helpful. 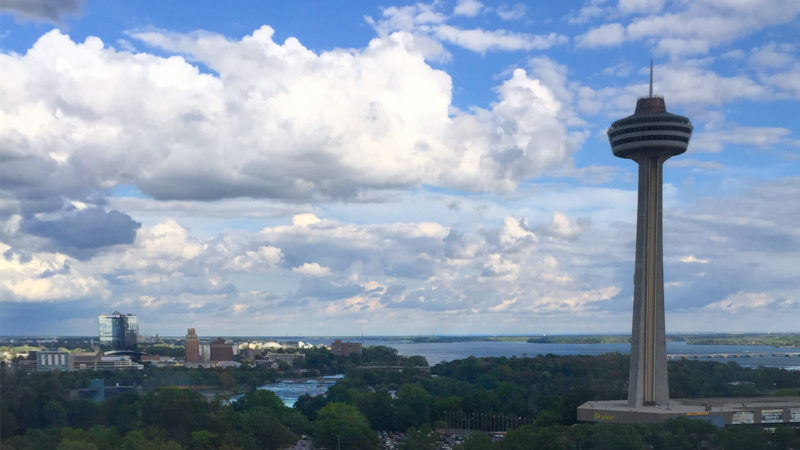 Our two night stay at the DoubleTree Fallsview Resort & Spa by Hilton was excellent. The staff was always very friendly and accommodating. This Niagara Falls hotel offers everything one could want during a stay away from home. I would definitely stay here again as I’d love to experience more of the amenities like the spa and dinner at Buchanans. USA Today named it one of the top steak houses in the area. My kids want another welcome cookie too. I highly recommend a stay if you visit Niagara Falls, Canada. I love DoubleTree hotels – if only breakfast was included! I’ve never been to Niagara Falls. This looks like a great place to stay when visiting. I wish they had free parking, but it does look like a nice place to stay at! What a really gorgeous place to stay in Canada. I would love to travel to Canada and stay at this hotel. I’d love to see Niagra Falls. This Doubletree sounds perfect, close enough to walk, but not so close you are in the middle of the hubbub. I’m going to keep this in mind, especially as it is near other things to do, too! This resort and spa sounds amazing! I really like that it’s so “family friendly.” Thank you for sharing this information. We’re really hoping to make a trip here some time in the future. This is a good hotel, most hotels in Niagara charge $20 or more for parking so $15 isn’t bad. Looks like a nice hotel. Thank you for the review! That looks like a beautiful place to stay. 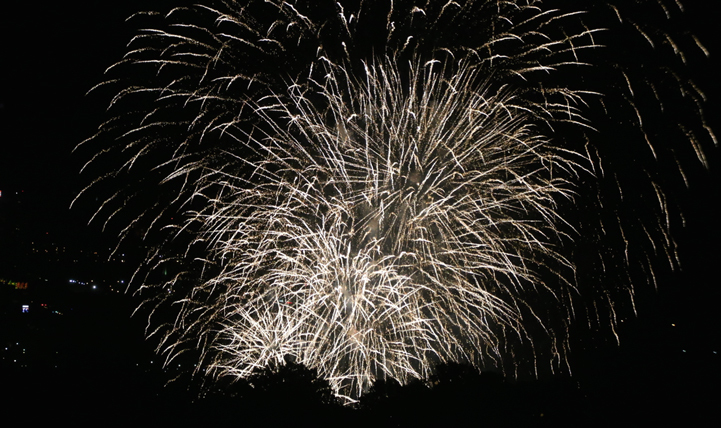 It would be awesome to watch the fireworks display right from your hotel window. Wow–that pool is amazing. And the beds look like clouds. I have always wanted to visit Niagra Falls, now I know where to stay. Beautiful hotel. I love the pool and the food looks delicious! We just went for our first Niagara Falls visit last month. I think we would have enjoyed the Canada side and being in a hotel that makes it easy to walk to the attractions. We’ve been thinking of visiting Niagara Falls, this looks like agreat hotel we should look at prices for when we plan that trip, hopefully next year! i haven’t ever been before. we were close but decided to head the opposite way in new york towards lake placid. i hope we get a chance to go soon. the pool in the hotel looks fabulous! Looks like a really nice place to visit. It amazes me you’ve so many places.Wish I could! I would love to stay here. It looks so beautiful. Thank you for sharing. All of these years and I STILL haven’t been to Niagara Falls. It looks gorgeous, great post! This seems like a lovely hotel. Thanks for the review. Niagara Falls is on my bucket list! Thank you for including in your post what DOESN’T work for families. Many times info like that is omitted & it’s very important for families to know what to expect. Love the fireworks! This would be a wonderful place to stay. Someday I would love to go to Niagara Falls. I love this hotel! Hilton hotels are great and this one sounds like a wonderful place to relax. What a gorgeous place for a holiday 🙂 Love it! Awesome Resort and Spa to relax, when I go on vacation that is what I look for first. Great review!!! makes me want to go right. This is a really nice looking hotel and one we will definitely look into when we get around to planning our trip! I love the pool and the fact that you can walk to just about everything.Thanks for the great review! I WOULD LOVE TO VISIT THIS AREA. The place looks beautiful! I love hotels that are within walking distance to shops and attractions. It is nice that this place has an indoor pool and hot tub so even on rainy days you can enjoy a dip in the water. Niagara Falls is just so beautiful. I really enjoyed the photos. I love the Niagara area. This place looks amazing, I love all the room you have you the rooms, and wow! that pool looks amazing and refreshing, . I haven’t been to Niagara Falls, but hope to go. Thanks for letting me know where to stay. I have wanted to go to Niagra Falls for a long time. I will be pleading my case to hubby tonight! It looks like a great place to stay while visiting! I have never been to Niagra Falls. We are planning on a trip a Niagara Falls next summer. Thanks for this great review. It is on my list. I’ve never been to Niagra Falls but it’s on my bucket list for sure. The hotel looks amazing so I’ll keep it in mind! I love these hotels. They are all really nice!!! This one is beautiful!! I’ve been to Niagra Falls twice (love it there) and a hotel within walking distance is a must. This sounds like a really nice hotel…great for families. I think the breakfast is also a good price. I found many of the eateries kind of expensive. I’d love to take a famiky vacation there. This looks like a nice play to stay with lots of free features. I love Double Tree hotels, and this one looks particularly amazing. I want to go here so bad. On my bucket list. I will go soon. It looks beautiful and I love an indoor pool with a hot tub next to it to enjoy when it isn’t sunny out! I’ve never been to Niagara Falls, but if I get to go someday I’d love to stay there! I’ve been to Niagara Falls many times but have never stayed there. It looks like a great place to stay. Looks like a lovely place to stay! I was in Niagara Falls this March for my brother’s wedding. It is a beautiful place to visit and would love to go again. I have always wanted to travel to Niagara Falls and this sounds like a wonderful place to stay. I’ve been wanting to visit Canada and Niagara Falls for such a long time. The Double Tree hotel looks beautiful & relaxing while being in a great location. I love reading about your adventures Jenn. Just out of curiosity, which U.S. location or vacation has been your favorite? Thank you for the chance to win. This looks like a beautiful place to stay. I have always wanted to go to Niagara Falls. I have never been to Niagara River/Falls, I bet it is lovely. I would love to visit sometime. Great review the pictures. It looks and sounds like a excellent place to stay the spa sounds really nice in these cold winter months!